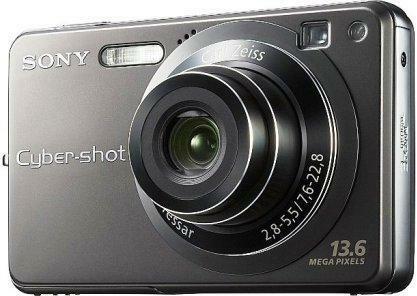 i sold my 6 month old 7.2 mp cyber-shot to a co-worker so i can buy sony’s latest one, a 13.6 mp, pocket-able, point-and-shoot digicam. i have read that there are cameras with higher megapixels in them like 14 or even 21, so does it mean that the higher the megapixel a camera has, the better resolution the results of the pictures will be? a megapixel is defined as one million pixels, the term pixel is actually short for “picture element”- these are the small colored dots that make up the image on the screen (like the lcd screen of a camera). some say that the more pixels, the more detail the camera can capture but i have also read that with compact cameras with more pixels, the worse the images can be. well i think it is not all dependent on how many megapixels a camera has, for other specifications should also be considered. well if the pictures turns out to be blurry even with a 13.6 mp digicam.. that surely wouldn’t make sense. This entry was posted in stuff stop and tagged camera, pixels. Bookmark the permalink.